One & All TTT on Sunday 31st July near Truro. You have the choice of a 15 mile 3 up TTT (S6/15) £24 per team or a 10 mile 2 up (S6/10) at £16 per team. Each team member will need to fill in a CTT entry form (don’t forget to send 1 cheque for the team) and send it to; T. Farnell, 3 Lambs Lane, Falmouth, Cornwall, TR11 2JL. This needs to be in at least 2 weeks before the event. The other event is the CS Dynamo 4 up Team Time Trial on Sunday 21st August near Honiton (S26A/40k) so 40 kilometres. We put out a couple of YOGi teams for this event last year and performed well despite not being fully aeroed-up! Send a cheque for £30 and 4 CTT entry forms for each team member to; A. Waite, 50 Park Road, Exmouth, Devon, EX8 1TL. You can read David Fletcher’s write-up from last year here. So get talking and sort out your squads. I’ll be in Ireland for the first event but hope to be available for the CS Dynamo event on 21st August. Apologies to Chris Sammels for the holiday ref LOL. I’m down for the 4up if anybody will hbe me! I’ll be available for both dates. Getting back to some kind of fitness so don’t want to hold anybody back. I’m happy to do the 3 or 2up on the first date. Hi Ritchey, I checked with Brian if he was interested in a 3 up, but not his cup of tea, do you fancy me as a partner for the 2 up, or as a No3? Pretty sure I’m available for this if you want a third man for the 3-up? Could also be around for the 4-up just need to check with the boss! I’m up for that, sounds great. 3up it is then. Also if you fancy the 4 up on the 21st August we just need one more. Dave are you up for that? Si, let us know if you get the pass. Great new website by the way. just spoken to Dave as I’m on hol tomorrow until the 18th. Dave’s going to send my form with his for the 3 up on the 31st. Can you send your form and put myself, you and Dave in that order as rider 1, 2 & 3. We can sort a ride either one evening or weekend of 23rd July. I’m still up for the 4 up but can discuss that when we meet up. Will get the form in the post tomorrow. Chatting to Kris (Curtis) tonight and he has offered to join up with us for the 4 up…although I guess he may be poached by a rival team!! I would be keen for either of the distances on 31st July. Word of warning, it would be my first time trial effort. Would love to give it a go though. If anyone wants a keen team member let me know. I thought Yogi had organised a TT for a moment! Don’t think I’ll be able to ride the first one as have a wedding the day before. Hope to see a good YOGi turn out at all these events. I’d like to get in a team for the 4up. How old does Wiggins look in the Photo at the top of the page!! I’m up for the 4up in August I might be fit by then! Fortunately or unfortunately I don’t like Guiness… better keep that quiet! I may be interested in the 4up if I’m matched up with 3 of similar ability to me and can get some practice in beforehand. I am up for a 4-UP team and if I can convince him then Mr Elson too! Can we have a list of people interested in the 4up on Sunday 21st August? I think Kris Curtis was interested in the 4-up as well…not sure about Dave? Yes that is right Simon i am up for the 4 up! Just received an E-mail from Tony Fardell, the 3 up is cancelled due to lack of entries. We can enter the 2 up without further forms, just need to let him know who is riding with who. That’s a real shame, was looking forward to it. I don’t have a contact number for Kris so hopefully will might see him on Tuesday. Do you want to get into the 2-up with Ritchie and I’ll see if Kris or anyone else would like to join up with me? Yes that’s fine by me. Look forward to it. The Cycle Sport Dynamo have been the victim of roadworks on the old A30. This means that they are unable to proceed with their planned 4 up TTT. 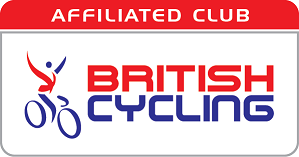 Because of the short notice and in acordance with CTT Regs and I have been unable to ask all the SW DC clubs in the area if they can take on the promotion however I am prepared to act as the event secretary and promote the event on the roads used for the S3/13S. This is a circuit of just less than 13 mile miles. For this event the HQ will be the Village Hall, Ugborough – only 5 minutes from the A38 at Wrangaton. The time trial will start on the B3124 close to Haredon Cross. It will then go to Ermington and on to the A379 to Modbury and then the road to California Cross, Kitterford Cross and the completion of 1 lap. Repeat for 1 more lap less 150 yards. Please publicise this change on web site and verbally. Encourage all to enter. I’m still up for this but haven’t got an entry in yet as we haven’t sorted teams. Anybody fancy a practice run on this course next Thursday? I’m away all next week but I’m interested in the TT still so hopefully teams will be discussed soon.